Description: Excellent value in popular Terra Nova. 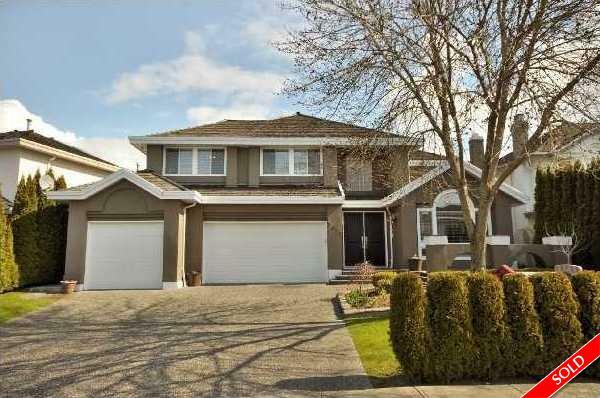 Beautifully updated 6 bedroom executive home with prime location close to the dyke. Bright and spacious with 5 bedrooms up and 1 bedroom on main. Large bedroom up can be used as a games room or bedroom with ensuite. Gourmet kitchen with granite counters, Kitchen Aid stainless steel appliances and 6 burner gas range. Other features include 18 foot ceilings in foyer, vaulted ceilings in living room, F/P family room off kitchen, air conditioning in master bedroom, built-in vacuum, hot water radiant heating and triple garage. Entertainment size main room and functional floor plan. This house has it all, nothing to do but move in! PUBLIC OPEN: Sunday, October 30th, 2-4 PM.